Always Aubrey: Gleek Peek: I hate being right. I love being right. Except right now I actually hate it. SPOILER ALERT, as usual. As I was watching the most recent Glee episode, I learned that one of my predictions from early in Season 2 had come (somewhat) true... I said that Karofsky would commit suicide. In fact, my friend LK messaged me as I watched because she remembered me saying it seemed to be pre shadowed circa 2010. I was super sad. I really thought Karofsky had a chance since he left McKinley... then they reintroduced him, and I felt I knew his fate. Poor Karofsky. Poor, poor Karofsky. I'm glad he lived, but still... the attempt was scary. I was looking forward to the performance at Regionals, and didn't appreciate Rachel/Finn trying to hijack the episode for some little wedding. 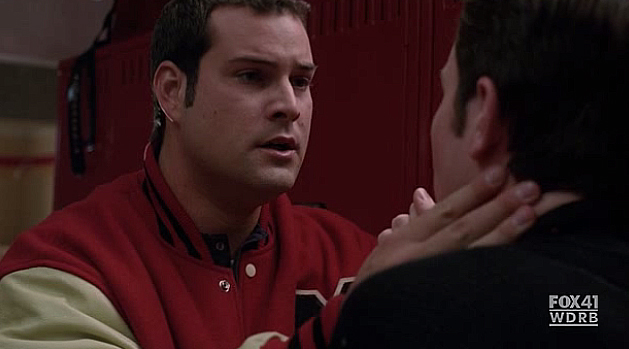 But it was interesting to see the human side of Sebastian, and how he had a connection to Karofsky too. I enjoyed the Regionals songs, and I really liked how Kurt and Karofsky made up. The final cliffhanger, though? OH. NO. I won't even address that right now. Songs I'll Download: "Cough Syrup", "Fly/I Believe I Can Fly", "What Doesn't Kill You (Stronger)", "Here's to Us"